Stuffing stockings at Christmas is one of my most favorite things to do. I challenge myself every year to find each member of my family (husband & 3 sons) gifts for their stockings that they will enjoy. I used to wrap each individual item in festive Christmas paper. After about fifteen years of doing this it became a bit tiring to sit and wrap, and wrap, and wrap, all the stocking stuffers for 4 guys. Now rather than doing this, I simply wrap each item in green, red or white tissue paper. I find that this saves so much time and tape. The answer I got made total sense and opened up my eyes. “I don’t need to unwrap my stocking, I always get the same stuff that he does.” After that I made sure that most of their stocking stuffers were different. Live and Learn. One year I did a tool theme. Most of these I was able to find at the dollar store and local hardware store. Under the tree they each had a toolbox. Not the same toolboxes, different ones.In their stockings were: Hammer,Screwdriver,Wrench,Measuring Tape,Bits,Flashlight, Needle Nose pliers,Pliers, and Snips. All three of my boys like to fish. Lures, bobbles, floats, fishing twine and other fishing paraphernalia are always welcomed stocking stuffers. Throughout the year if I happen to see something on sale that I think one of my guys would like I buy it, and hide it away somewhere that snoopers cannot find it. One year I had hidden gifts so well that I myself forgot where I'd hidden them. Two days after Christmas I found them. The boys were sure happy. I did for my kids when they were younger, but now that they're older we don't bother. Filling stockings is part of our Christmas tradition. I've never bothered with stockings. I never have before but I may start doing this. Whether they are living at home or away from home I find that they always appreciate the following: New toothbrush, toothpaste, deodorant, shampoo, body wash,shaving cream, new razor or blades for the razor you purchased for them last year. Nail clippers, tweezers, hair brush and or comb. Two of my sons have always enjoyed drawing. This makes stocking ideas easy. Suggestions: Sketch pads, pastels, paints, brushes, pencils, erasers, colored pencils, crayons, coloring books, art books, how to draw books. Many of us have guitar or base players in our families. A set of new guitar or base strings are useful stocking stuffers, or perhaps one of the following: Guitar straps, tuner, picks, capo, guitar books. Puzzle games, Paperbacks, Music CD's,Candies, Chocolates, Clementine,Tangerine, Barrel of Monkeys, Pic Up Sticks, Gift Cards, Movie Passes, Socks, hats, mitts. For many people Christmas can be extremely hard on the pocket book. Some families are choosing to pick names and buy one gift for one family member rather than buying for everyone. You can also do this with stockings. Set a limit that is affordable for everyone involved, pick names out of a hat and fill a stocking for the person who you pick. I hope that you found my hub useful and helpful. Merry Christmas to one and all! It's fun doing this for adults too. You should try it this year. Merry Christmas and Happy Holidays! I miss doing this as we often are away. 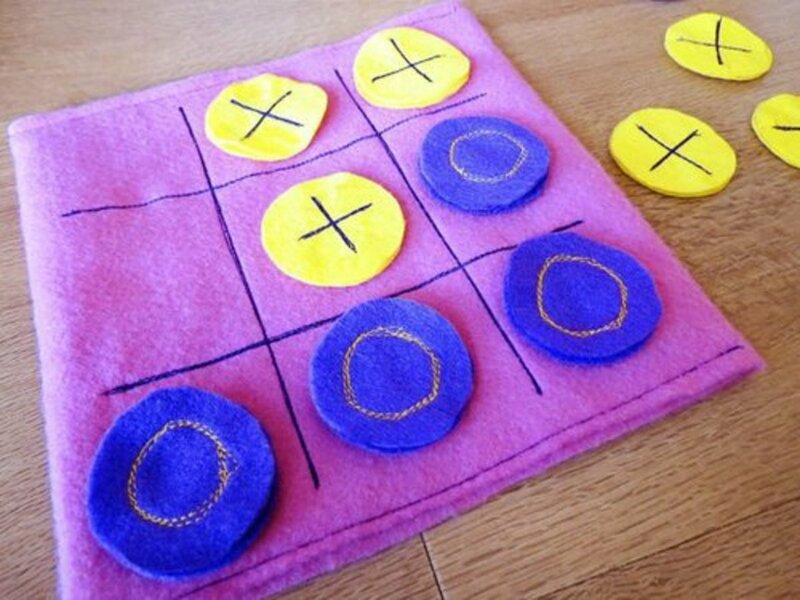 I enjoyed doing this when the grand kids were much younger. pstraubie, I remember my barrel of monkeys from when I was a child and I bought them for all 3 of my sons one year. They are so much fun! Merry Christmas to you and your family. All the best to you in 2015. I am always looking for new novel and not expensive stocking stuffers. One I found yesterday was a tiny flask that said "probably not water"....i thought that was pretty clever. Thanks for the ideas...I have to have the barrel of monkeys...i have a few..a few, really , like 3 but know little man would like a barrel of these...he is four so big enough for them. Careemommy, Thanks so much! Merry Christmas and Happy New Year to you and your family. Rebecca, Thanks so much and Merry Christmas to you and your family. Thanks R Talloni, Merry Christmas and Happy New Year! Kathryn, Thanks for stopping by and Merry Christmas and Wishing you a Very Happy New Year. I'm always behind these days too, and only wish there were more hours in the day to read. Susan......As kids, our stockings were hung on the mantle, and our mother would put a "Christmas Club envelope" in them.....(I don't even know if there is such a thing anymore)......It was a certificate from the bank for $52, accrued from saving one $ a week for the year. Then it was deposited the same place where every penny we ever earned or received in our lives....."College Fund." Fun? Wow.....Holly Jolly Xmas? Well we weren't impressed as kids, but of course, by college age, we figured it all out. Mom may not have been into "festivities," but she was smart as heck. As for my sons......they got gift cards to Sporting Goods Stores.......which was part of a sneaky route to Athletic Scholarships. Some great ideas for stocking stuffers. Thanks for sharing your ideas and creativity with us. These are great suggestions. We also do stocking stuffers, 5 days before Christmas, so starting tomorrow I have to have gifts for my hubby and two sons. I also normally wrap the gifts in tissue paper because it is so much easier, especially after having to wrap the gifts under the tree. Great hub! Yay, once again, a classic hub appears. Shared again, Merry Christmas! Sometimes the holidays get so busy people can't think straight. You've put together a useful list to help people think through the small stuff. :) Merry Christmas! I love buying stocking stuffers. Although nowadays I don't always use them in stockings. Some items I put in gift bags, but it's the same idea. When I was a kid, and again when I was married, filling and opening stockings was a big tradition for the holiday, and I enjoyed it. I need to go to the store and buy a few things for my nieces and nephews before Sunday. I'm running out of time! I usually do it in advance. Thanks for sharing your ideas. I like the concept of wrapping the little items in tissue paper, instead of wrapping paper. Simpler and more flexible, but still pretty. Have a great holiday week, and I hope you are doing well. I need to read some of your blog posts, since I am behind. Thanks Ruthi, and it is so nice to see you here on my hub! 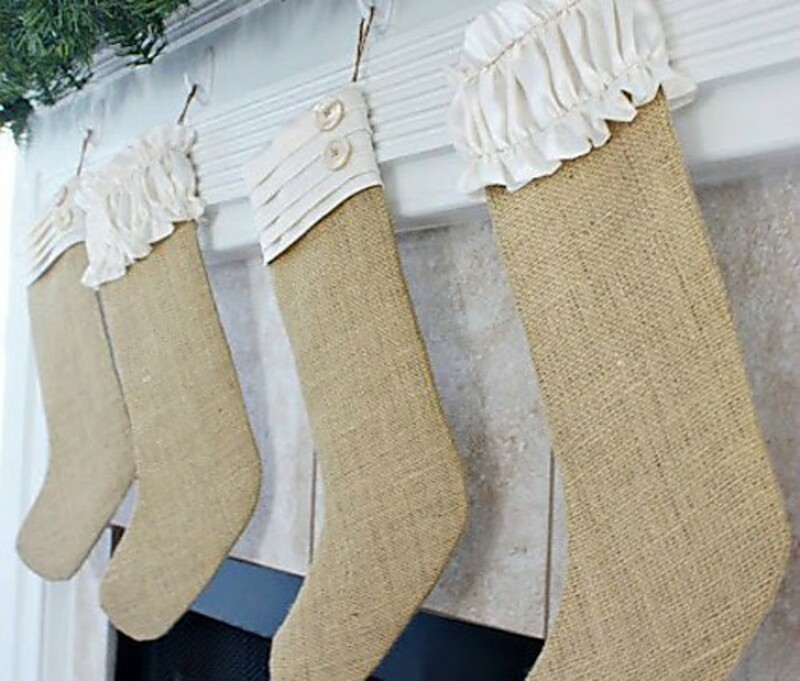 Themed Christmas stockings are a lovely idea! I enjoyed hearing about the twins and how you changed their stocking contents not to be the same. I used to love filling the kids' stockings with stuffers when they were young, and at home. Nancy, Thanks. How old are your twins? Judi, I always told my boys to wake me up so that I could watch them open their stockings. My husband thought I was nuts but I liked to see their reactions to what was inside. My daughter loves getting her Christmas stocking - we always leave it in her room and even when she was up at 5.00 am she could open it and let us get a little extra time in bed. Now she's older she still loves getting silly or offbeat things in her stocking. Sam, Thanks, and isn't it so nice when children are happy with what we get them for Christmas. Mike, The twins are 24 and the youngest is 19, but they still love their stockings :) So glad that you liked the hub. Really enjoyed the hub. And the idea is great. A great hub, with useful tips. Last christmas we didn't arrive at our holiday accommodation until Christmas Eve , without any food shopping or christmas presents for our 3 children. A long story short - I rushed to the reject shop and spent a total of $50 on the 2 youngest. They were delighted. Wonderful christmas time hub here Susan, and I enjoyed reading and getting some of your cool stocking stuffer ideas, I like the artist one the most, because I am into drawing, even though I don't have much time to do any of it today. Cool stuff though, and I know your kids are happy to have a cool mom like you. Smooth, oh but I do use that gift hiding technique you also pointed out. Nice! Transfer America and teenboyproblems, Nice to meet the two of you and thanks so much. Merry Christmas! Wonderful ideas! Thanks for the hub! snowneo, Glad to be of help. Buying and stuffing the stockings is one of my favorite parts of Christmas. Nice to meet you Marcus and Merry Christmas! Ah Susan, you have done it again! another beautiful hub :). This saved my beans for sure! I hate shopping for christmas gifts and stocking stuffers are the worst, so many little items to fill those darn red monsters. Leanna, Thanks. I always got toothbrushes in my stocking as a child and it is one of those items I've always put into my families stockings. Great ideas! I always have trouble deciding what to put in the stockings. I never thought to put toothbrushes though. PDX, Toothpaste, toothbrushes and dental picks are a few of the things I always put in my sons stockings. They're 23 and 18 now and they still get them. MammaTrish, My stepmother made all 3 of my boys knitted stockings and I couldn't believe how much stuff I could cram into those. Jeff, Thank you and Happy Holidays to you too. Your Hub is full of excellent suggestions. It's also timely since Christmas is just around the corner. Happy Holidays! This was a fun hub. My kids always liked pulling the goodies out of their stockings even more than opening the big gifts from under the tree. It's surprising how much can be "socked away" in one little stocking. A.CreativeThinker, Thanks, so glad you like my ideas. athena, Thank you. It's clip art. Really enjoyed this hub. That first picture of the little boy looking up the chimney is precious. I also love how you put the Christmas garland throughout the hub. How did you do that? Great ideas shared also. This hub has been useful to me this year! I have many coffee drinkers in the family. I am going to put sample sized coffees in the stockings. You have inspired me!! Great hub! S Sue, I always put a Tim's Coffee card in my husbands stocking. Thanks for adding to the stocking suggestions. Have a Merry Christmas. icountthetimes, Sometimes it is hard to figure out what to buy people. Glad I could be of help. Have a great day! Thanks so much for creating this hub. I need all of the suggestions I can get :). For some people I know instantly what to buy them. Ror others, I'm left scratching my head for weeks on end. Stocking stuffers are great for adults too. Mini liquor bottles, yes, and Starbucks or Pete's gift cards - any gift card, really. Maybe a printer cartridge or recorder cassette tape. Many of the things you mentioned for artists are good for writers too, kids or adults. Well written article. Sharyn, Stockings are so much fun. I miss being the child that unwrapped all the goodies inside. Happy Holidays to you too. Sue, Thanks and Merry Christmas to you and yours. laringo, Thanks and Merry Christmas to you and your family. Great ideas for stocking stuffers. There are some unique ideas here Susan. I miss when my Mom was here because she was such an awesome stocking stuffer. She had stockings for all the grandkids and adults too. At times there were 20 stockings hanging by the front door. We were always thrilled with the gifts in our stockings because she put so much effort into finding unique gifts and things we would personally enjoy. Happy Holidays! 7 years ago from From Berkeley, California. Thank you for the great ideas and great prices for stocking stuffers. I think I'll be done after this. Tammy, I do the same, with the liquor bottles. Every Christmas morning my husband and I sit and watch the boys open their gifts while we have Baileys Irish cream in our coffee. We've made this a tradition. For adults, I like to get the "mini" bottles of liquor from a nice store. The bottles are so decorative and it makes for a great holiday treat. The guitar picks are a fabulous suggestion for my teens. They love new picks. Great hub!! TheUsedCarGuy, Mr. Nice wrote an article on VueZone. Little Light, Thank you so much. Great ideas here - thanks for sharing. I love the way the Hub is so clear to read and festive looking too! My grandson plays the guitar. Just might havbe to get him those guitar pics on amazon. It is great to see a stocking with something in it. What small treasure is lingering inside? Great things--small packages. MM, I would like to be a Santa's little helper. I would love a new outfit :). Thanks glad you like my ideas. Thanks for the ideas and voting up. Nice ideas! Thanks for sharing this useful post. LOL.. I'm sorry Susan.. but still Happy Days.. right? Ruby, Stockings are fun. Thanks. 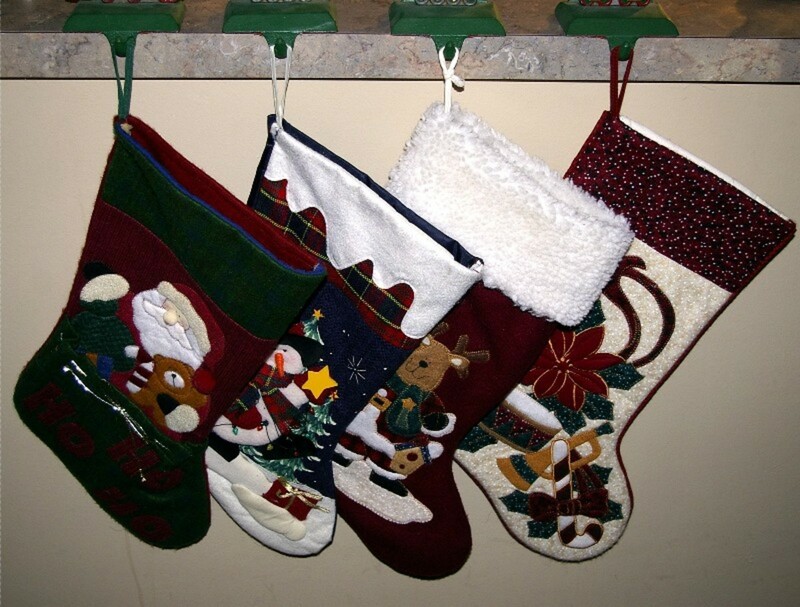 The stocking was always a favorite part of my childhood Christmas celebrations. Now I fill stockings for some members of my family at Christmas time. Thanks for the good ideas for stocking stuffers, Susan. Super ideas Susan, That's what i looked forward to when growing up, stockings stuffers with goodies, and of course i did that for my family too. Thank you for sharing..Peace. Susan - the stocking stuffing is my favorite part of the gift buying! I used to do the same thing - wrap every little tiny thing...eventually (Laurel is 23!) I watched it get trashed so quickly I scaled down too. Sometimes I don't even wrap them...but I really try to find creative stuff (very little candy). Linda, I usually put a scratch ticket in my husbands stocking, but he never usually wins much. $50.00 on a scratch ticket is a great win! sestasik, Tube of toys sounds like something my boys would have loved. Thank you. Cardisa, Stockings were my favorite part of Christmas even when I was a child. Dee, So glad you liked the hub. Gifts in stockings isn't so common here in Sweden although it is growing:) We have given our daughter a stuffed stocking ever since she got a Christmas stocking from a book club with a book about Paddington the bear. She loved the Chrismas stockings and knew from the book what it should be used for. So we usually stuff it with some smaller things for her to open on the morning of Christmas Eve. Later on in the evening it is time for the Christmas gifts under the Christmas tree. Thanks for all the good and useful ideas on stocking stuffers! Great ideas for stocking stuffers. That picture you have at the top is adorable. Very useful hub. Superb ideas Susan! You should get a job in the North Pole, Santa would so appreciate a helper like you around:)) stocking stuffers are always so much fun! I like to put scratch-off tickets and last year we had a $50 winner! Voted UP!! Yes, very useful. I love the way you interjected the story about the twins. One year I made gift baskets for everyone on my list, which was basically just a bunch of stocking stuffers around a central theme and crammed into a (Dollar Tree) basket! Wonderful, wonderful ideas and I shall use many of them and pass on your tips. Thanks so much for sharing. The Famous Fart Whistle for a penny! drbj beat me to it darn! Great ideas here, Susan. Love the fart whistle. Everyone on my list is getting one ... whether they like it or not. Ah, some good tips here. Once you've got the main present, you've always got get some interesting bits and bats in there for them :-) Voted up and useful. We don't really do the stocking thing here in Jamaica but it has always fascinated me. It's like getting multiple presents because you get your regular gift from under the tree then these little treats in the stockings. Great tips. One of the best stocking items we found for little boys is the "Tube of..." toys you can find at discount stores or science/knowledge retailers. You can get a small one for about $5 and they can be a "tube of dinosaurs", "tube of insects", etc. They are filled with small plastic toys and boys ages 5 to about 8 seem to love them.